Absolutely love this tune (and their previous tune, Jackson’s Shaving Brush, too). Why did they not release the album? But I see they are recording another one in Sep. 2015! So glad you like the tunes, Alasdair – and I agree: can’t wait for Boldwood’s next album. (Watch this space…!) 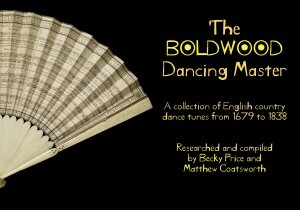 Have you got their tunes book, The Boldwood Dancing Master? It’s a real treat.